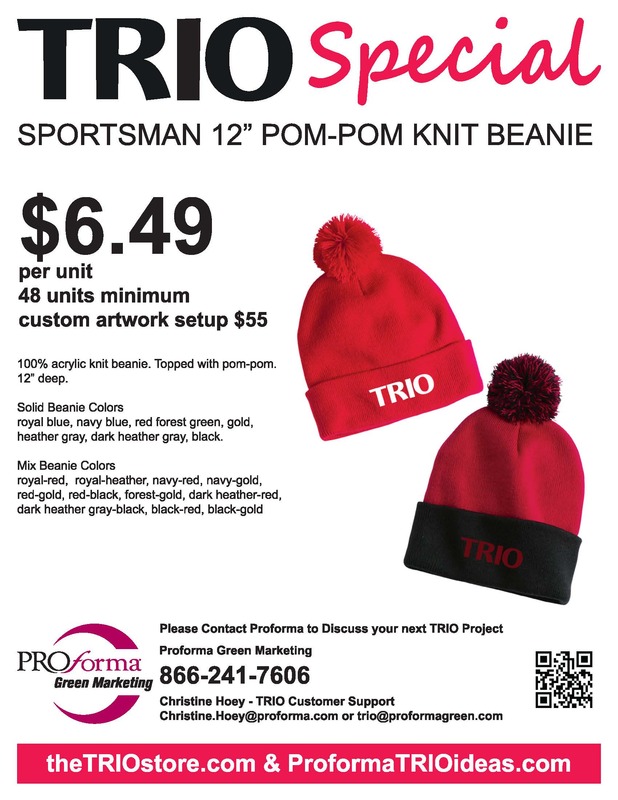 Sportsman 12″ Pom-Pom Knit Beanie samples for MAEOPP. 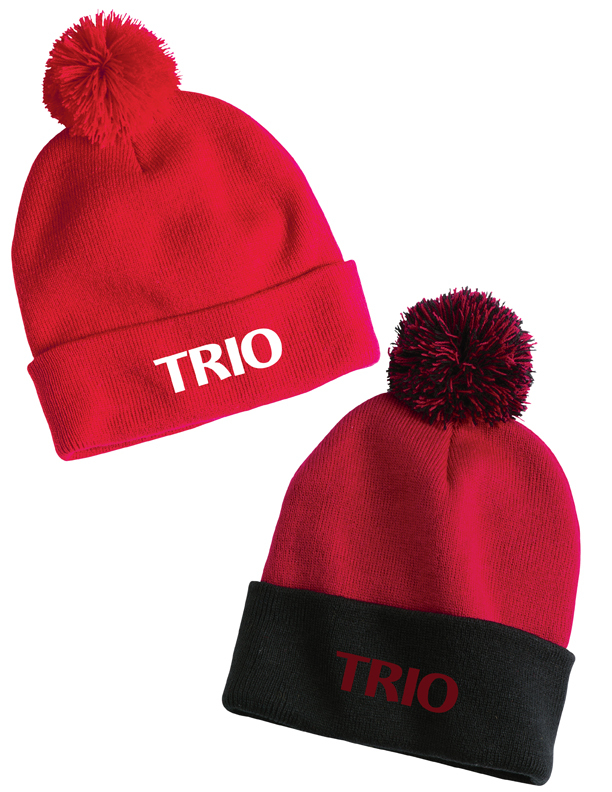 Stock TRIO embroidery or custom embroidery available. 20 stock colors are available (see flyer).